ADDAPTCO – What are we all about? ADDAPTCO is a 501c3 nonprofit PTCO (Parent Teacher Community Organization) for all children with developmental differences within Hancock County. 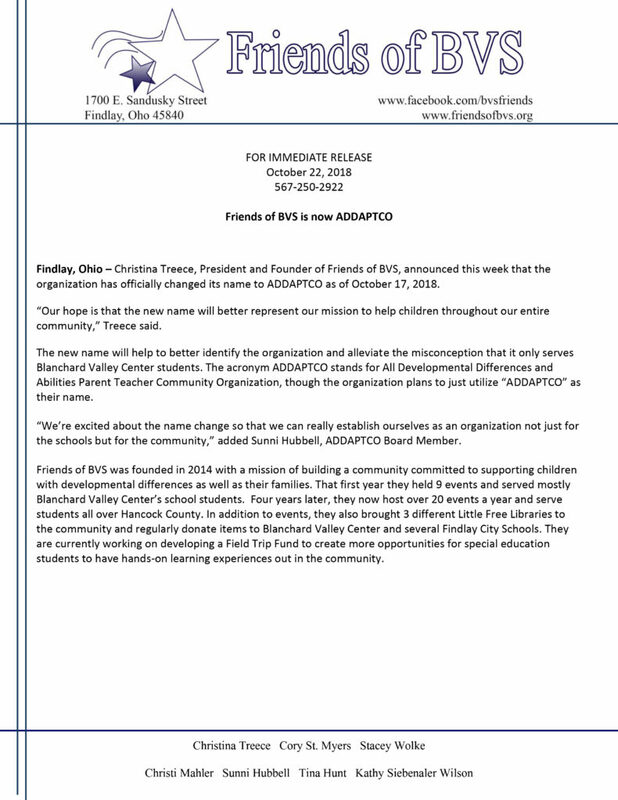 We work very closely with Blanchard Valley Center, the Hancock County Board of Developmental Disabilities. 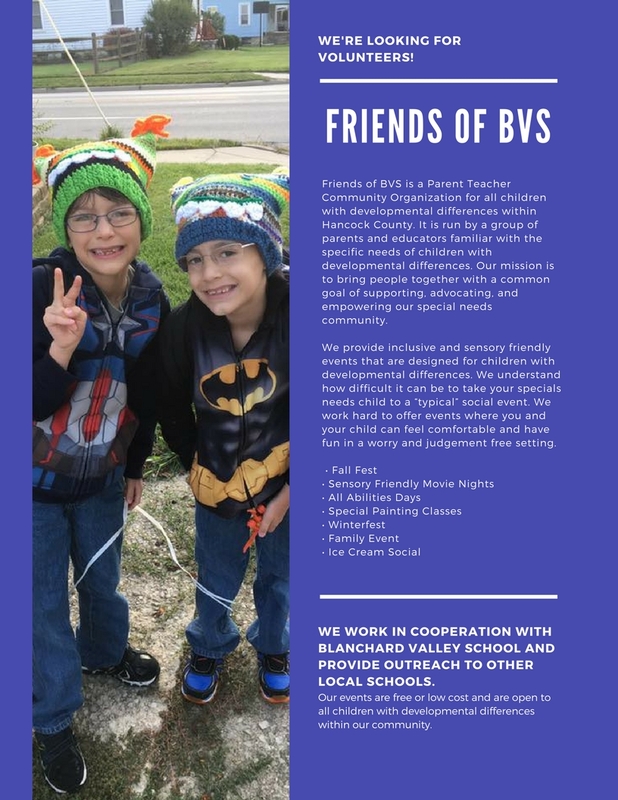 We serve special education students & staff within Hancock County. Our goal is to build an inclusive community for all children with developmental differences. We offer several public events that are designed specially for children with special needs. All of our events are designed specifically for children with special needs and their families. We like to offer a safe, sensory friendly environment where the children can have fun and parents don’t have to worry about being judged. We know all too well how hard it can be to take your special needs child to a “typical” social event so we work hard to offer our special social events where you and your child can feel comfortable. ADDAPTCO is run by a group of special needs parents and educators. We came together with our own personal stories and experiences to make a difference for the children in our community. We are committed to providing free or low cost events and resources for our special needs community. Become a part of the ADDAPTCO team by joining our facebook group. For the latest information about our sensory friendly events like our facebook page. Not a special needs parent or educator? No worries, you can still join the group. If you have the desire to help out and you want to make a difference in the special needs community then we would love to have you join the team. Contact us today to find out how you help.